Lexington, Ky.—Jan. 3, 2019—As the New Year kicks off so do the opportunities available to USHJA members. 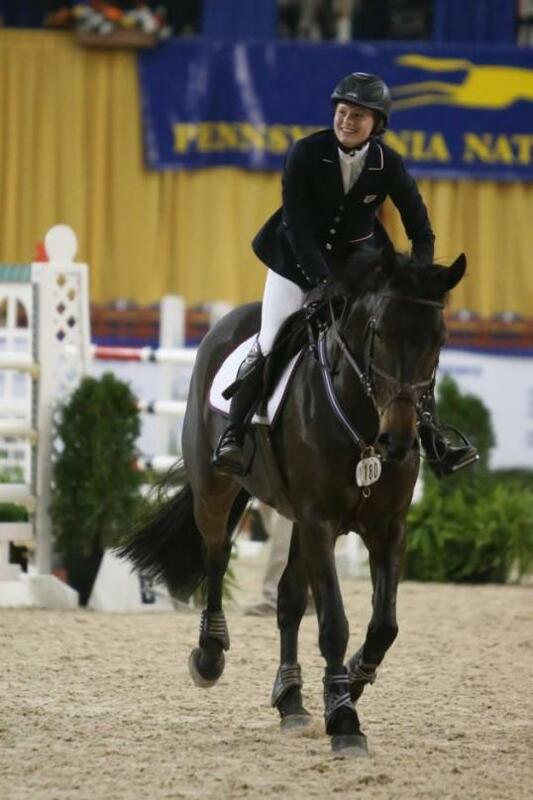 The USHJA Foundation has opened applications for the $25,000 Hamel Family Scholarship for Further Education and the Gochman Family Grant, which helps riders attend the USEF Pony Finals each year. "This sport gives us all so much, and the Foundation gives us a way to give a little bit of that back to our community," said Debbie Bass, chair of the USHJA Foundation. "We encourage anyone meeting the criteria for these opportunities to apply; that's why they're here, and we look forward to supporting the aspirations of our incredible community." Each year, the Foundation selects up to three individuals, who exemplify sportsmanship, tenacity, and horsemanship, to receive the Gochman Grant, which aims to inspire young riders to embrace this sport at the earliest age and encourage them to continue growing as equestrians, by providing them the opportunity to compete at USEF Pony Finals presented by Collecting Gaits Farm. Pony Finals takes place August 5-11, 2019, in Lexington, Kentucky, and Gochman Grant applications must be received by Friday, March 15, 2019, to be considered. Click here to access the Gochman Family Grant application. To date the grant has been awarded to 10 individuals: Olivia Elmore (2018), Sydney Spevak (2018), Ryder Richardson (2018), Logan Blake Crouser (2017), Olivia deStanley (2017), Ella Doerr (2017), Judy Dettore (2016), Riley Hogan (2016), Cecillia Machado (2016) and Matthew Bravo (2015). Individuals may receive the grant only once. "This week has been such an incredible experience," said 2018 grant recipient Sydney Spevak at the conclusion of her week of showing Moon Run Duplicity, "Dolly," owned by Katie Cohen and trained by Emily Elek of Stonewall Ponies. "If you're thinking about applying, please do. I didn't think I would get the grant, but I did, and it has been absolutely amazing." Beyond supporting competitive opportunities, the USHJA Foundation is committed to education, and through a generous donation from the Kristen and James Hamel Family Foundation, the USHJA Foundation awards up to $25,000 to one USHJA member each year to be used for college, graduate, trade, or professional school. Current USHJA members who have been members for at least three consecutive years are eligible for the Hamel Scholarship for Further Education. Applicants must be accepted to a college, graduate, professional, or trade school and be entering the 2018 fall semester as a freshman, sophomore, junior, senior, trade or graduate student, and meet the other requirements outlined in the application. Interested applicants must apply by Wednesday, May 15, 2019. Click here to access the Hamel Family Scholarship for Further Education application. In 2017, Lizzy Traband of Centre Hall, Pennsylvania, received the scholarship, and she is currently using the funds to pursue her undergraduate degree. In 2018, Emily Sheveland, of Oconomowoc, Wisconsin, received the scholarship to pursue her degree in Rural Medicine. "To anyone thinking about applying, definitely do it," said Sheveland, who just completed her first semester of medical school at the University of Wisconsin with the support of the Hamel Scholarship. "It's a great opportunity to get money that will help you. The scholarship has alleviated the stress that major student loans can cause, especially when I just found out tuition costs will be increasing. Just think about how much more you can focus on studying." The Hamel Scholarship for Further Education is made possible by a generous donation from the Kristen and James Hamel Family Foundation. The Gochman Grant for USEF Pony Finals presented by Collecting Gaits Farm is made possible by the generosity of Becky and David Gochman and their family. "We are so thankful to the Hamel and Gochman families for their support of these opportunities, and we look forward to seeing how the Hamel Scholarship and Gochman Grant will help members of our hunter/jumper community achieve their goals this year," said Bass. The USHJA Foundation provides financial support for an important set of educational, humanitarian, and competitive programs designed to strengthen the hunter/jumper community. 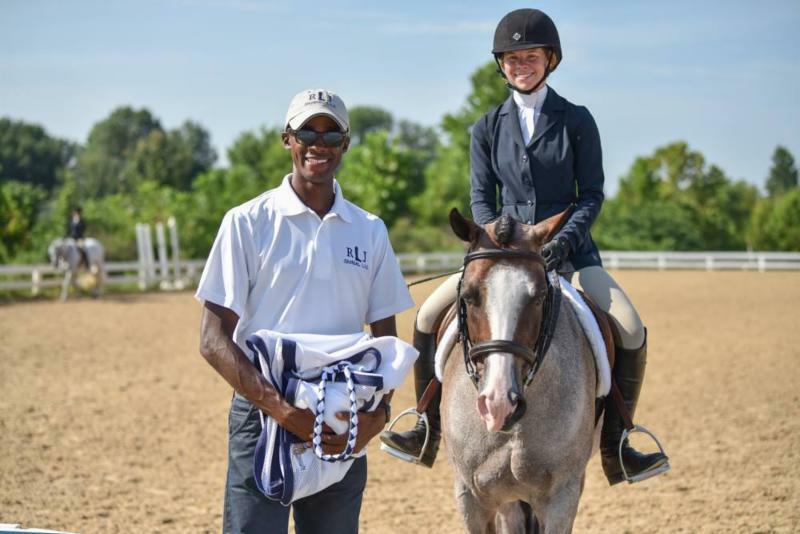 Valuing education as a priority, the Foundation offer grants, scholarships, and funding for programs that empower talented hunter/jumper equestrians to pursue their personal and professional goals. The support the Foundation receives from donors generates a pathway of opportunity for deserving USHJA members by providing access to riding clinics, horsemanship education, competition experience, and education outside the arena. At the same time, the Foundation believes that protecting the welfare of the Hunter/Jumper community is essential and responds with relief for USHJA members in times of crisis. For more information about the USHJA Foundation, visit www.ushjafoundation.org.